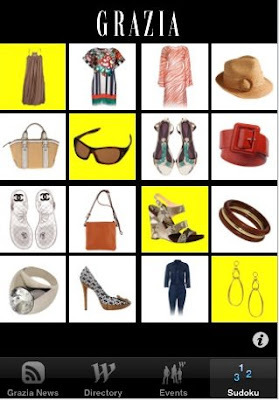 Grazia have launched their 'Grazia Live at Westfield' application for the iPhone, which not only gives users access to the latest content from the brand, but also links into their experiential activities at the new mall. It shows how brands can add value to mobile users on an ongoing basis, and from Apple's perspective engages an audience who so far have probably been left cold by the iPhone's beer simulators and tech demos. what they need is a TV series shot in Westfield on a daily basis, 5 min episodes, broadcast to mobiles. So you can watch the soap while you are in the shopping centre and maybe even spot yourself in the background.